Last updated June 4, 2018 at 9 a.m.
June 3, 2018 (Del Cerro) – San Diego Fire investigators have concluded that a fire that scorched 38 acres in Del Cerro yesterday was started by 12-year-old children playing with a lighter. It has not yet been announced whther the juveniles will face charges, ECM news partner 10 News reports. The fire reported at 4:09 p.m. in the Adobe Falls area of Del Cerro on Del Cerro Blvd. near Waring Road forced evacuation of 60 to 80 homes on Adobe Falls Road this afternoon and evening. The fire started in a brushy canyon and swiftly threatened homes, burning east and to within several feet of Interstate 8, forcing closure of the freeway and harrowing moments for motorists. ECM reporter Rebecca Jefferis-Williamson was driving toward the fire on I-8 and got cell phone photos (top left and lower left) of flames beside the freeway and a wall of smoke confronting motorists. "The other driver and I didn't know what we were driving into, but we were not stopped from advancing," she reports, adding that orange and black embers and ashes were hitting her car. One ember came through her open window and burned her finger, she added. November 28, 2012 (City Heights) -- A resident suffered burns and was transported to a hospital in CPR status early this morning, Incident Page Network reports. The fire occurred in apartment at 4974 Marlborough Drive in City Heights. September 27, 2012 (La Mesa) – A resident sleeping in an apartment at 5300 Marengo Avenue was awakened this afternoon by smoke. Seeing flames coming from her stove, she tried to douse the fire with water, which caused the fire to spread. She then evacuated the apartment, which suffered $50,000 in damages to the structure and contents. June 27, 2012 (San Diego's East County) --A brush fire in Mexico is sending up large billows of smoke visible across much of East County. According to Cal Fire spokesman Mike Mohler, the fire is burning eight miles south of the border. "We dispatched two units to the scene and there is no threat to the U.S. at this time," Mohler told ECM at 3:35 p.m.
Update May 18, 2012 (3:15 p.m.) -- San Diego County (Engineer Springs)| Major Brush Fire South end Marron Valley Rd.|Fire now 20+ acres on US side. Large resource required helicopters, 2 type 3 striketeams, and water tenders. Update May 18, 2012 (8 a.m.) -- The fire is now 60% contained at 150 acres on the U.S. side, with full contained expected by tonight and full control by tomorrow night, according to Cal-Fire's Roxanne Provaznik. Currently there are 20 engines, 8 fire crews, 4 water tenders, 1 air tanker, and 4 helicopters assigned to fight the fire. May 17, 2012 (San Diego’s East County) -- The spread of a 600-acre fire that has burned over 15 acres on the U.S. side of the border in the Jewel Valley area has been stopped, CAL-FIRE reports. There is one minor heat-related injury to a firefighter. Update 1:20 p.m. - The fire has burned 15-20 acres on the U.S. side of the border, Incident Page Network and Cal-Fire report. Additional strike forces teams were ordered however Cal-Fire Roxanne Provaznik now states that good progress is being made on the fire and that two of four air tankers have been released. May 17, 2012 (San Diego's East County)--CAL FIRE/San Diego Fire Authority is on the scene of a brush fire along the U.S./Mexico border. The fire in Mexico is approximately 600 acres and has just crossed into the U.S.
September 9, 2011 (Spring Valley) 5:25 p.m. – A half-acre fire is burning in Spring Valley. 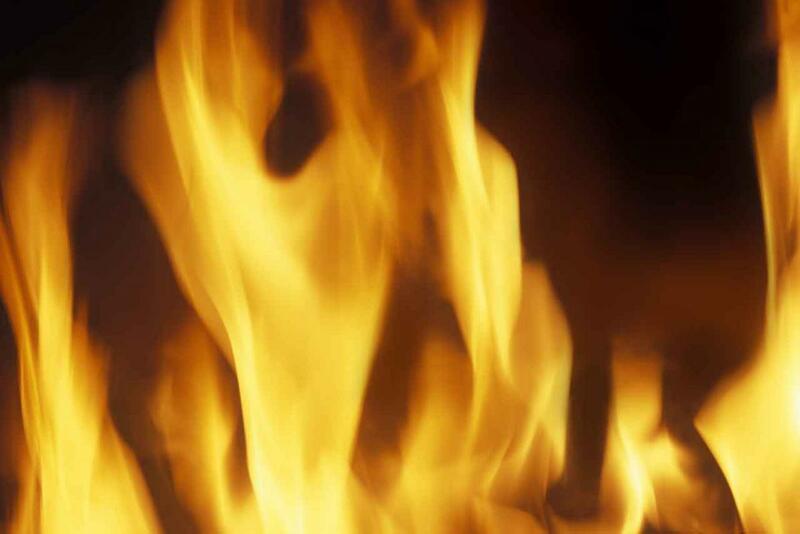 According to Heartland dispatch, the fire began in the 8700 block of Central Way. Forward spread has been stopped. Another fire torched a quarter-acre along I-15 at Adams Avenue but was swiftly put out by San Diego Fire and Rescue a short time ago. September 1, 2011 (San Diego's East County)--Effective today, fire restrictions on the Cleveland National Forest have been moved to the “Elevated” level. The increase in fire restrictions is due to dryer fuel conditions, higher temperatures, and the likelihood of small fires becoming larger fires. July 19, 2011 (San Diego) – A car fire spread into brush alongside State Route 52 near mast Boulevard this afternoon on the northern edge of Mission Trails Regional Park. July 6, 2011 (McCain Valley) – Cal-Fire and the San Diego County Fire Authority have announced cancellation of plans to conduct controlled brush fire training tomorrow, July 7, the McCain Valley area of East County. Cal Fire Captain Mike Mohler advises. May 2, 2011 (San Diego’s East County) – A small brush fire scorched less than quarter of an acre this afternoon near Bell Junior High School on Briarwood Road in the Paradise Hills area. According to Maurice Luque, spokesman for San Diego Fire Department, the blaze was swiftly doused. January 27, 2011 (Deerhorn Valley) – Daniel Alphonse Ignosci, a retired San Diego Fire Department captain and long-time resident of Deerhorn Valley, died January 7, 2011 at age 70. January 18, 2011 (Palomar) --If you see smoke, don't panic. The United States Forest service will be conducting a controlled burn today and tomorrow near the intersections of Palomar Divide Truck Trail and Halfway Road placing it on a North East / East aspect of Palomar Mountain. January 1, 2011 (San Diego) – A New Year’s Day hike at Mission Trails Park was cut short when a hiker became injured, prompting a technical rescue. Incident Page Network reports that San Diego Fire Department dispatched a helicopter to provide a hoist rescue since the area was inaccessible to an ambulance by ground. September 20, 2010 (La Mesa) – Firefighters from La Mesa and San Diego Fire departments swiftly halted a brush fire that began at Connecticut Avenue and Delaware Avenue in La Mesa this afternoon, spreading onto a hillside at Del Cerro Boulevard and Elaine Way. The two-acre fire was extinguished with no homes damaged and no injuries. August 23, 2010 (San Diego) -- San Diego Fire Department responded to a canyon fire at 66th and Skyline. The blaze started at mid-day and threatened several homes as the fire expanded in size. Firefighters, with the aid of air attack helicopters, were able to hold the fire to one acre as it burned heavy bush in the center of a populated neighborhood. July 31, 2010 (San Diego) – “Countywide, there are approximately 240 firefighters from San Diego at fires in the north,” Cal-Fire battalion chief Nick Schuler told East County Magazine today. That includes the Crown Fire southwest of Palmdale in Los Angeles County, which has scorched 13,918 acres and is 62% contained. In Kern County, another large blaze has charred 1,658 acres and is 85% contained. About 220 of the 240 local firefighters deployed in northern regions are Cal Fire personnel, including 128 inmate firefighters. Cal-Fire employees a total of 500 people in San Diego County, Schuler said. July 28, 2010 (San Diego) – San Diego has the fewest firefighters per capita of any major city in the nation, a shocking new report by Center for Policy Initiatives revealed yesterday. June 21, 2010 (San Diego) – A one-acre brush fire the 3900 block of Federal Boulevard near Highway 94 in San Diego has now been extinguished, San Diego Fire reports. The blaze caused evacuation of apartments along a ridge top late this afternoon, but was swiftly doused with no damage to structures. Update June 17 10 am - The Narrows Fire is now 60% contained, with full containment expected by noon today, according to Chief Schuler. JUNE 16, 2010 (Julian) – A 100 acre brush fire burning east of Julian is 50% contained, Cal-Fire Battalion Chief Nick Schuler has informed East County Magazine. The fire started at Highway 78 and Scissors Crossing, east of S2 and north of Shelter Valley and has burned acreage on both sides of 78. February 5, 2010 (Palomar) -- From February 8 through February 15, Cal Fire will be conducting a prescribed burn to reduce dead and dying vegetation on Palomar Mountain near the Palomar Observatory. Firefighters expect the 200 piles to be burned within seven days.